“Fifty Grand” by Ernest Hemingway (1927) et al. Perhaps the most direct and most obvious legacy of the Carpentier-Dempsey fight, at least to those interested in boxing per se, is the fact that in a number of important ways it laid the groundwork for the much more famous Dempsey-Tunney fights. Those two celebrated bouts, the first fought in Philadelphia on September 23, 1926 and the second in Chicago on September 22, 1927, have been endlessly analyzed, their cultural and athletic significance parsed in both great depth and minute detail. What seems to have escaped the attention of virtually all commentators, however, is the extent to which the social themes and implications ascribed to the Dempsey-Tunney bouts were already explicitly at work five years earlier in Carpentier-Dempsey. First, there are factual ways in which Carpentier-Dempsey made possible the Dempsey-Tunney bouts. It is widely accepted that the saga of Dempsey-Tunney is not just about what took place between the ropes but also of the extraordinary press coverage and public frenzy surrounding the event. The tacit agreement between those who published newspapers, those who wrote for them and those who read them that a heavyweight title fight constituted a big story reached new heights in the months surrounding Carpentier-Dempsey. The mechanics of this relationship were not, as one might be lead to believe by some accounts, created by Dempsey-Tunney but rather created by Carpentier-Dempsey and revisited by Dempsey-Tunney. The Dempsey-Tunney story as a story, was able, one might argue, to take off the way it did precisely because the process was already a familiar one. In 1926, in the weeks leading up to the first Dempsey-Tunney bout, boxing fans were not experiencing something new; they were taking their seats on a roller coaster they had already ridden five years earlier. And it was precisely because they had enjoyed that ride so much that they were eager to hop aboard for another spin. 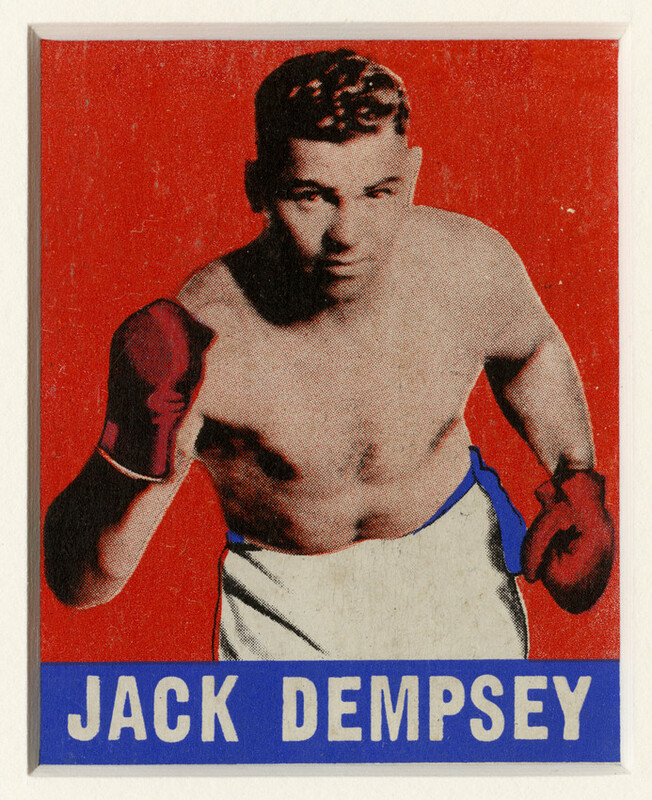 More specifically, the Dempsey-Tunney coverage was based to a great extent on Jack Dempsey’s extreme celebrity. As is always the case, Dempsey’s celebrity was a serial, comprised of any number of discreet episodes and incidents. The single most important of these, before the Tunney bouts, was very clearly his fight with Carpentier. It was thanks to Tex Rickard’s brilliantly orchestrated publicity campaign surrounding the 1921 affair that Jack Dempsey had truly become a household name. 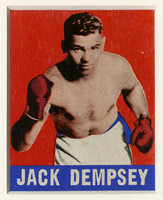 Without the key ingredient of Dempsey’s celebrity, which was in turn due in very large part to Carpentier’s popularity, Dempsey-Tunney would have been much less likely to gain the kind of momentum it did. Even aside from my own efforts, my reputation was taking on great proportions. Georges Carpentier had received such a build-up, and had been so popular, that by defeating him I came to be regarded as being better than had been supposed. By beating a popular idol I had become more favorably known than by overwhelming giant Jess Willard, whom people cared less about. Without Carpentier, Dempsey’s fame would not have been what it was in 1926, meaning that Dempsey-Tunney would not have been what it was. Ability is one thing. Salesmanship is another. 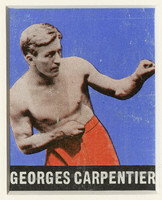 Georges Carpentier, fragile Frenchman, has a minimum of the former and a maximum of the latter. That is why he continues to rake in the festive doubloons in this country in face of the fact that he is through. Carpentier drew a record-breaking crowd into the Michigan City bowl to see him spring away from Tommy Gibbons through 10 rounds. […] Carpentier will draw another big money crowd into the Polo Grounds to see him step with Gene Tunney, American light heavyweight champion, July 24. 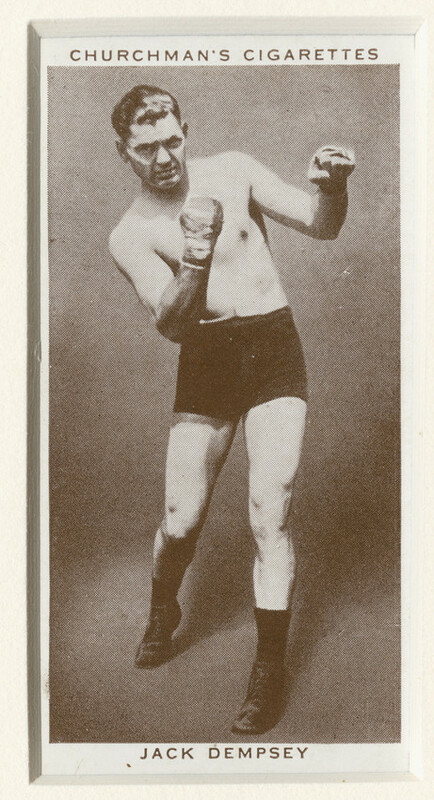 Williams concludes his article by predicting that even a decisive win by Tunney, who, he says, “is no great shakes of a fighter himself,” will not prevent Carpentier from continuing to be a “drawing card.” In short, it is clear that the considerable amount of attention paid to the Carpentier-Tunney fight was clearly due to the ongoing interest generated by Carpentier. The strange and perplexing case of Mr. James Joseph Tunney, known professionally as Gene, is to be wheeled back into the operating room for further clinical experiments. The ironic reference to Carpentier as a “foot-racer” (and a later characterization of him as “decrepit”) notwithstanding, the thrust of the article is that Tunney remains an unknown commodity and that a fight with a well-known commodity like Carpentier will be a crucial step for him on the way to gaining both fame and respect. The Marine [Tunney] fully realized what an opportunity faced him, for a quick defeat of Carpentier would place him in line for a crack at Dempsey’s title. That fight meant everything to him. It was the turning point of his career and Gene figured that he would be made or sent into the discard by the result. 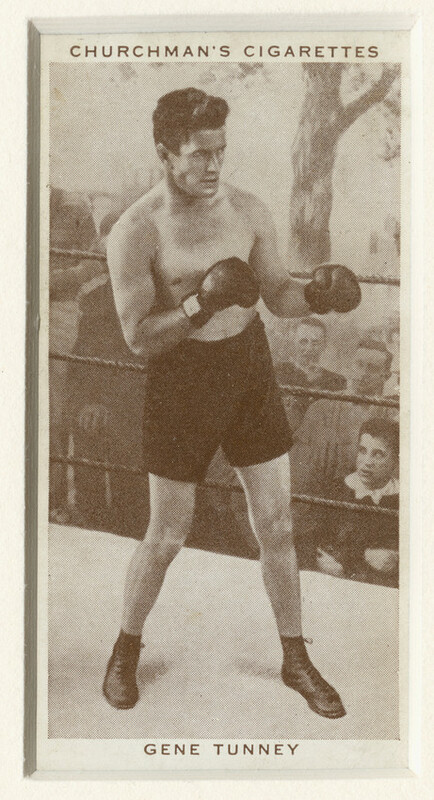 Carpentier was dropped by a liver punch in his fight at the Polo Grounds last summer. Tunney caught the Frenchman coming in and hooked a left to the liver. Carpentier dropped to the canvas, writhing with pain and claiming a foul. It was half an hour before he was himself again. “I fully expected to crumple and pass out without further ceremony. This article thus uses the Carpentier-Tunney bout as proof of Tunney’s skills, both offensive (the devastating and scientifically developed liver punch) and defensive (his ability to stand up to Carpentier’s supposedly formidable right hand). He can take a man out with a single punch and he has a chin, the article informs us. Since his boxing skills were never in question, Tunney starts to look like the complete pugilistic package in the wake of his trial against Carpentier, certainly close enough to qualify as a legitimate challenger to Dempsey. Carpentier-Tunney proved Tunney to be a worthy opponent for Dempsey: he withstood Carpentier’s awesome right as Dempsey had, he ended the fight with a decisive KO of Carpentier as Dempsey had. In agony of body and spirit, the vortex of a maddened throng that howled and cheered and jeered, Georges Carpentier made one last gallant gesture, before he passed probably forever, from the prize ring that has been his stage for more than sixteen years. The truly magnificent moment of the Frenchman’s last stand came in the tenth round. It came when Georges, eyes glazed, knees wobbling, blood gushing from his mouth, cried, “Non, non,” as the referee would have stopped the bout to save him further punishment. […] Twice again in this round smashing blows without return sent the bewildered Frenchman to the canvas. Each time he arose and clung on. And when Andy Griffin would have intervened and tried to push Georges away, the gallant soldier-boxer from overseas spat out a disdainful protest and fought on. Everyone screamed and shouted at once, but no one heard. And two stalwart bluecoats carried Georges, apparently still in frightful agony, from the ring to his dressing room, while Tunney, who had beaten his man, was almost forgotten. Ironically. Tunney’s playing second fiddle to the beaten Carpentier in the press ultimately served him well, as it equated him (albeit implicitly) in the minds of the public with Dempsey. One might argue that it took Tunney fifteen rounds to finish off Carpentier as opposed to Dempsey’s four and that the win therefore does not put him on an equal footing with Dempsey. 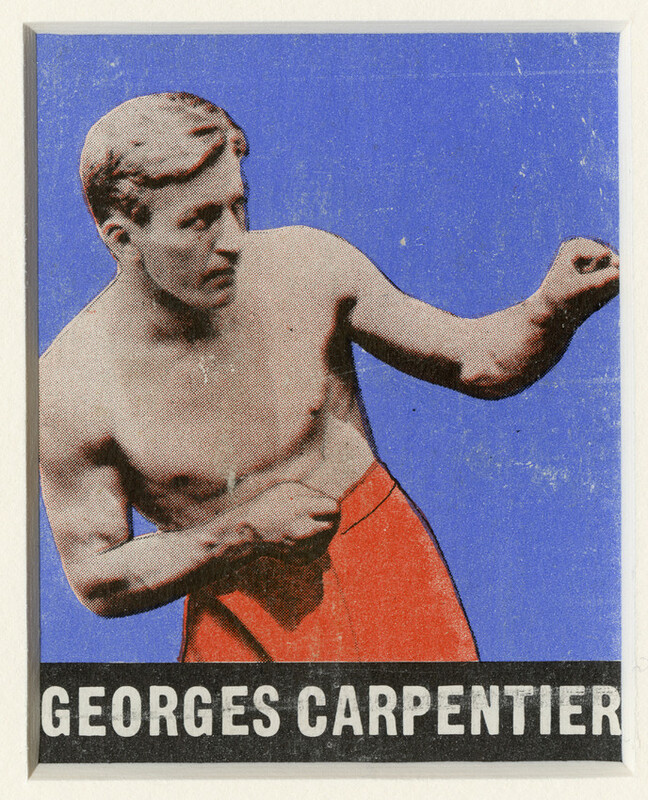 One might also point out that the Carpentier of 1924 was not the Carpentier of 1921. These things are true. One might also argue that it might have taken Dempsey more like fifteen rounds to dispose of Carpentier, had the two men been as close in size as Carpentier and Tunney were in 1924. Pugilistic debate notwithstanding, Tunney’s dramatic win over the “gallant” Carpentier put him symbolically in Dempsey’s place and made him an appropriate challenger for Dempsey’s title. Dempsey-Tunney, a couple of years later, would be another chapter in a saga that began in 1921, an ongoing tale with three main characters. Two dragons had slain the handsome and gallant knight; the only logical conclusion to the story would be for them to face each other. The Dempsey-Tunney saga, as it was played out in the press and in popular reception, followed closely, in some ways strikingly so, the path laid out by Carpentier-Dempsey. What took place in the ring during the two Dempsey-Tunney matchups was of course vastly different from the four rounds of Carpentier-Dempsey, but the hype surrounding it very clearly recalled the earlier event. […] the right that had shaken Dempsey caught [Tunney’s] attention. He noted that Carpentier’s punch had truly been a tremendous one; you don’t break your hand with a harmless punch. And, studying Dempsey closely, he saw that he had really been shaken, because he backed away on wobbly legs. Tunney concluded that Dempsey wasn’t invulnerable to punches and that the entire problem consisted of hitting him hard enough but not so hard as to break your own hand. This posed a particular problem, as we will see. […] Gene Tunney considered Dempsey’s claim that he had never been in danger [against Carpentier] to be false. Dempsey had, in fact, been in danger for three seconds and anything could have happened. […] The only realistic conclusion was Tunney’s, that Dempsey was in fact vulnerable. Climbing into the ring […], Gene Tunney thinks of Georges Carpentier. Of the second-round right hook that he saw over and over again in the film, the one that nearly took Dempsey out. And after all, Tunney tells himself, his own right is more persuasive than the Frenchman’s. 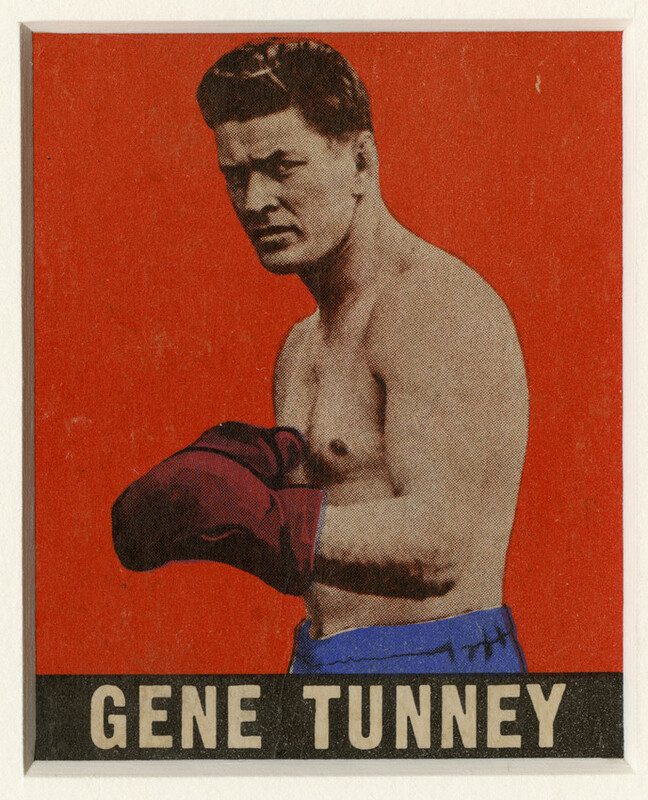 As Carpentier biographer Olivier Merlin points out, Tunney’s punch was just like Carpentier’s, but with “ten more kilos behind it.” Tunney was, simply put, a bigger, better Carpentier. As the fight started, I came in with what I thought was my usual attack, weaving from side to side and throwing a left hook at Gene’s jaw. But before it could even land, his own right counter-blow took me on the side of the head with a force that staggered me. The characters of the story being told in the newspapers were thus virtually identical to those in the Carpentier-Dempsey story. Dempsey, once again, is a “cave man,” a “primitive man,” a “Neanderthal.” His opponent, once again, is “modern,” a man who represents intelligence and sophistication. Once again, interest in the fight is promoted via a stark contrast between the two antagonists and the drama that their physical confrontation cannot fail to produce. And once again, Rickard’s scheme works. It is important to recall here that the hero of that same leisure class, just a few years before, was the defeated Georges Carpentier. It is also important to remember that, just as he had been in 1921, Dempsey was the villain in the “backstory” of his first fight with Tunney. In another eerie echo of 1921, the first Dempsey-Tunney bout pitted the “slacker” against a war hero. Just as in 1921, the 1926 crowd favored the war hero, the “Fighting Marine.” As had been the case with Carpentier, Tunney’s soldier image was well grounded in fact but was hyped by the newspapers to such an extent that it almost began to resemble fiction. Marshall Hunt of the New York Daily News wrote of the “manufacture” of Tunney’s image as a “fighting marine” and a “scientific challenger.” Hunt characterized such myth-making as “cultural nonsense” but admitted that it made for good reading and helped the circulation of the newspapers in which it appeared. 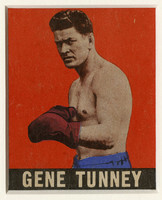 Few believed Tunney could beat the champion Dempsey. Still, those at ringside were deeply moved as the stalwart young challenger strode confidently into the arena on the night of 23 September 1926 for the first fight. At ringside, several of his armed force comrades rose to attention and sang the Marine Corps Hymn. As with Carpentier-Dempsey, the strategy worked. The saga of the toe-to-toe matchup of the representatives of two supposedly essentially antithetical types of men served to sell staggering numbers of both newspapers and fight tickets. Gorn is right when he says that boxing’s traditional American fan base was drawn largely from the working classes (in contrast to England, where there was a long and healthy tradition of upper-class gentleman aficionados of the sport). And he is right that the idea of middle-class boxing fans, and especially women, would have shocked “respectable” people just a few decades before. However, by failing to mention that these taboos had already been broken-- and in a spectacular and widely-reported fashion—by Carpentier-Dempsey, he gives a somewhat inaccurate sense of the socio-cultural import of Dempsey-Tunney. The mainstream press—“middle-brow” journals like Time Magazine and newspapers carrying sophisticated stories from the major wire services—invoked broad patterns of symbolism to depict the two boxers. Amidst descriptions of uppercuts, left hooks and counterpunches, a subliminal battle raged among old Victorian norms, new corporate imperatives, and the values of a consumer society. Gorn is right to marvel at the “crossover” phenomenon of middle-class publications’ devoting substantial amounts of space to a boxing match and specifically at the excesses of the daily newspaper coverage of Dempsey-Tunney. What he fails to recognize, however, is that these excesses are considerably less amazing when one realizes how closely they followed a model already established by Carpentier-Dempsey. The fact that the New York Times devoted a three-tier front-page banner headline and multiple full pages of the front section to a prizefight is remarkable. It was even more remarkable, however, when those things had happened for the very first time five years earlier. As with Gorn, Evensen’s characterizations are accurate and insightful: the Dempsey-Tunney fights indeed constitute an example of “enduring public memory” and they indeed demonstrate the power of myth-making and of the press. Also as with Gorn, however, it is important to remember that these phenomena were not new in 1926—they had already been seen in 1921. The Dempsey-Tunney saga is the most remembered and most extreme example of such phenomena but it was not the first. It was made possible largely because of the new ground that had already been broken by Carpentier-Dempsey. It is important to recognize that, despite the remarkable resonance between Carpentier-Dempsey and Dempsey-Tunney, there are nonetheless distinctions to be made in terms of the symbolic socio-cultural content of the two events. Tunney was indeed billed as “The Fighting Marine” and he was packaged, to a certain extent, accordingly-- and the public had not forgotten that Dempsey had not fought in the Great War. By 1926, however, enough time had passed since the war that questions of military service and patriotism were no longer central in the way they had been five years earlier. Just as Carpentier had provided a bridge between the pre- and post-war periods for Frenchmen, so Tunney provided a bridge between pre-industrial and industrial culture for Americans. The second Dempsey-Tunney fight helped put NBC’s new rival, CBS, on the map and was heard by astonishing numbers of people: it is estimated that some 50,000,000 Americans heard the broadcast from Chicago, half the adult population of the country. Three of every four adult American men, it is said, listened to the fight. And it was not just Americans, either: outside the US, 90,000,000 people in fifty-seven countries tuned in. (Evensen, 100) Clearly, the Dempsey-Tunney fights played a significant role in the history of radio and thus of mass media overall. The same is true of Carpentier-Dempsey, the first title fight and first heavyweight fight ever broadcast on radio, but on a much smaller scale than would be possible five years later. Sportswriter Gene Fowler was (mostly) right when he says he calls Dempsey, Tunney, Rickard and Kearns “the founding fathers of boxing as big business, mass spectacle, and civic celebration.” (quoted in Evensen, 118). Where he is not entirely right, of course, is in failing to cite Carpentier as one of these “founding fathers.” Boxing as big business had—and still has—everything to do with the pre-fight hype; the pre-fight hype for Dempsey-Tunney was, as Rader has pointed out, a “buildup [that] followed Rickard’s familiar formula.” The formula in question, of course, was the one Rickard created for Carpentier-Dempsey. 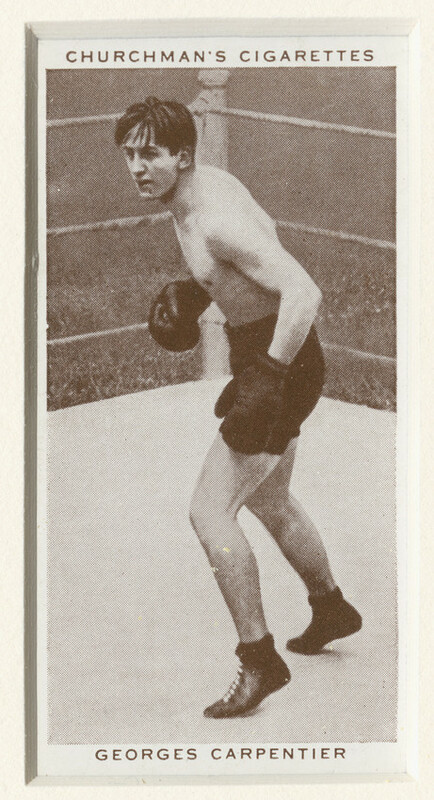 The Dempsey-Tunney fights were interpreted as “sociological phenomena” and were thought to signal “a new era in the professionalization and commercialization of sports spectacles.” (Evensen, 89) The 1920’s were indeed a new era in those domains, but it was a new era that began in 1921 with Carpentier-Dempsey, not in 1926-27 with Dempsey-Tunney. Gaston Bénac, who was at ringside, writes some twenty years later of “this capital event of French sport” in historic terms: “Hasn’t this unforgettable match remained in fact the most important monument of French sport of the past thirty years? Twenty-two years later, people still talk about it as if it happened barely a month ago…” In the introduction to his book, he defends his choice to emphasize the event and takes his historical assessment one step farther: “If I have insisted [..] on the Carpentier-Dempsey match, it is because it constitutes, to my way of thinking, the most important athletic event of modern times.” An overstatement, to be sure, but neither should the significance of Carpentier-Dempsey and the precedents it set be understated.